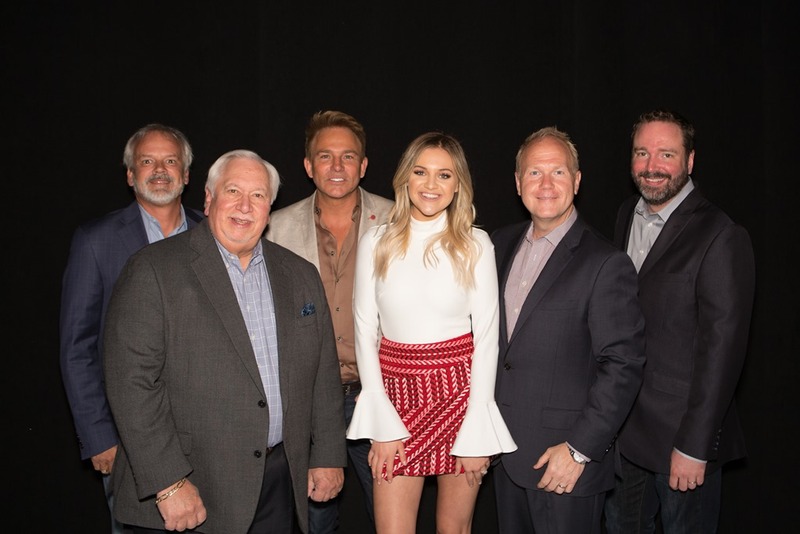 Sony/ATV, the world’s largest music publishing firm, is pleased to announce inking a brand new deal with Black River Entertainment superstar KELSEA BALLERINI. In signing long-term with Sony/ATV, Ballerini has found the perfect home for her sincere and exciting brand of country songwriting. The widely respected company has a long history of worldwide success dating back to 1955, caring for and administering the music of legends like The Beatles, Michael Jackson, Hank Williams, and Taylor Swift. Ballerini is already a history-making songwriter and artist (she is the only country female to begin her career with three #1 singles – “Love Me Like You Mean It,” “Dibs,” and “Peter Pan”), and with the support of Sony/ATV, her future now looks brighter than ever. One of the most successful country artists of the past five years, Ballerini’s recent single “Yeah Boy” is another co-written Top 5 hit, the fourth and final single from her record-breaking debut album, THE FIRST TIME. She is currently prepping to announce her highly-anticipated follow-up project, with more details coming soon. On May 26, Ballerini will begin Lady Antebellum’s YOU LOOK GOOD WORLD TOUR as the featured supporting artist alongside Brett Young. Kicking off in Bakersfield, California, the tour will crisscross the U.S. and Canada throughout the summer and then play to massive international audiences in the U.K., Ireland and Europe this fall. Meanwhile, Ballerini heads into the 2017 CMT Music Awards with an incredible four nominations (tying her for the lead with fellow superstars Keith Urban and Thomas Rhett). This year’s show airs live from Nashville June 7 at 8 p.m. ET. She’ll follow up on June 8-11 with a high-profile co-hosting appearance at Nashville’s Nissan Stadium for the 2017 CMA Music Festival.